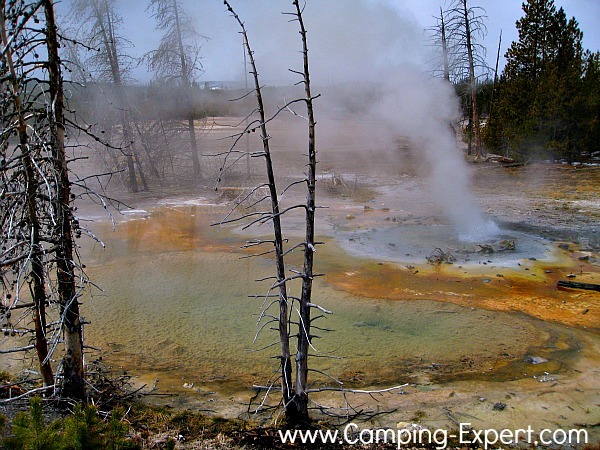 Learn what a well-traveled camper thought of Yellowstone national park camping - from the animals, the geysers and the park in general. 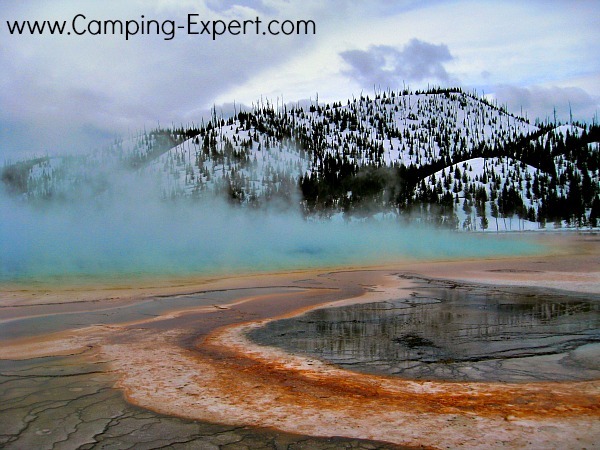 Great Pictures, plus share your Yellowstone experience! 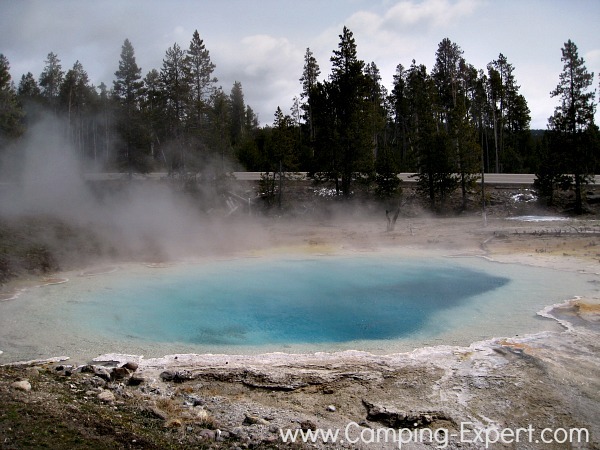 I love to visit National parks (well, anywhere natural to be honest), and sadly missed Yellowstone on my last national park tour camping road trip. Well, Yellowstone did not disappoint, and I wish that I had taken my brother there when we did our camping road trip last year. 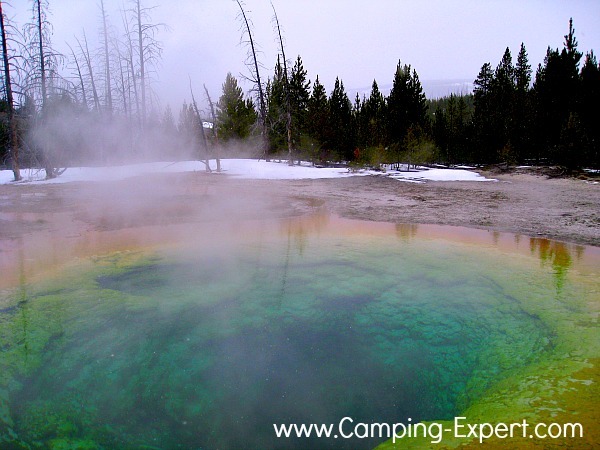 My best description of Yellowstone is ‘out of this world’! 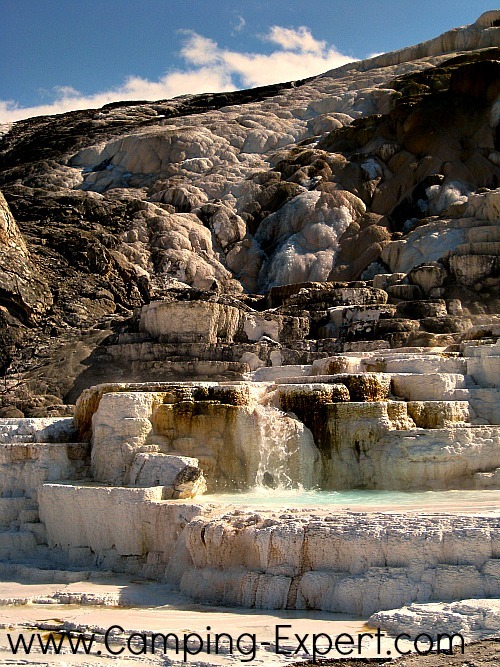 It feels like you have stepped in to another planet with geysers and bubbling mud pools and waterfalls of hot water over colourful rocks! Absolutely stunning! 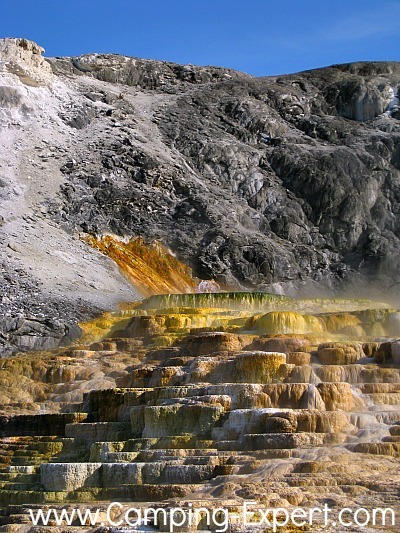 In Mammoth springs- where there are the yellow waterfalls, there are many other geysers, and you can walk right over the thermophiles, and feel like you’ve gone back in time to see evolution in progress. Watching small heat loving organisms growing in the mineral filled water. 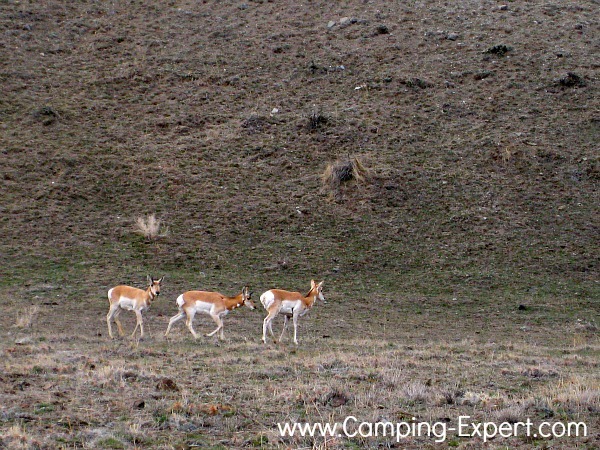 The geologic formations were phenomenal, but not only that, I also thoroughly enjoyed the wildlife. 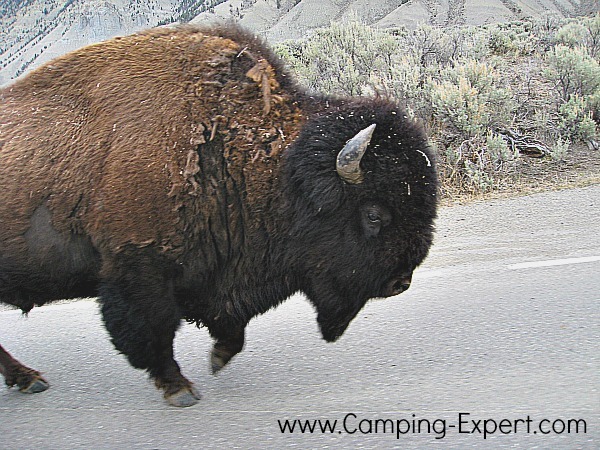 There are many buffalo / bison, elk, deer, coyotes, bears, wolves eagles and more! And not only do they exist, you are sure to see many of them. Along the north corridor there is lots of wildlife, and there are a group of people referred to as the wolf watchers who have zoom cameras and binoculars watching where there might be a bear or wolf. One spot in particular, along the northern highway blacktail pond is where bison often fall and drown in the water, and so the bears will drag the dead buffalo out of the water and it will then become a feast for many animals! It’s right along the highway so you can watch! 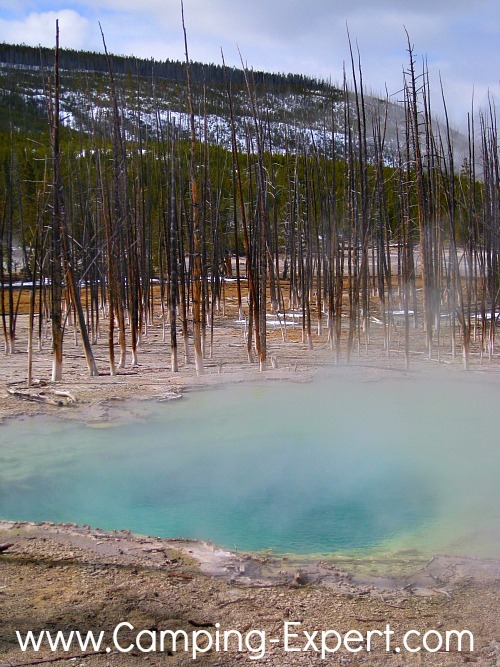 Along the west road going south, there are more animals, as well as this is where you can see many of the geyzers.and hot springs – from Steamboat geyser, grand prismatic hot spring and many more smaller ones! 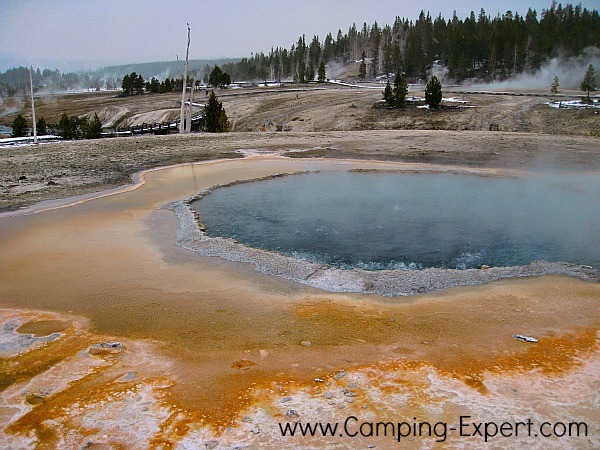 Some places that I enjoyed seeing were: grand prismatic hot springs, artists paint pots, steamboat geyser, old faithful geyser, grand geyser, and riverside geyser. Around Ol’ Faithful, which goes off every approximately 90 minutes, there are other geyzers that go off at varying intervals- from every few seconds (small bursts), to big bursts every 5, 7, or longer hours. There are a bunch of volunteers, which are called by locals’ geyzer gazers’ who record the time, that each geyser goes off, and then radio it to the other gazers and also to the visitor centres and also put it on their website. 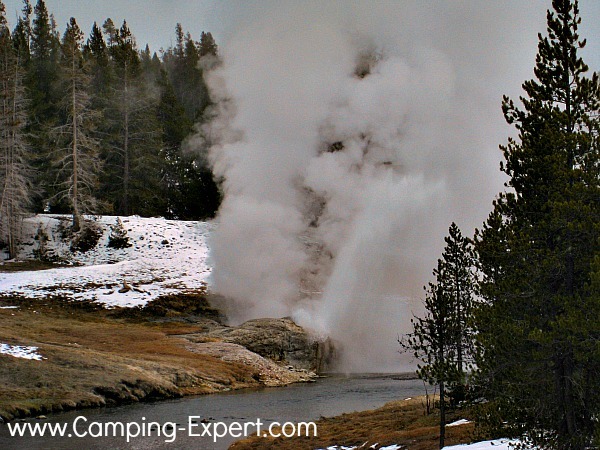 Some of the geysers that I watched were Grand geyser, riverside geyser and of course ol’faithful. 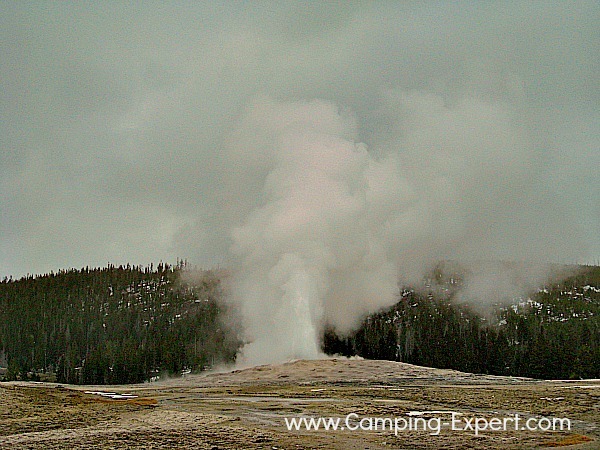 Because Yellowstone is mountainous, many of the roads aren’t open year round and so make sure to check on their website (or better yet, phone the phone number) so that you can get up to date and accurate information on the geysers. Although I only visited for 2 days, I was thoroughly pleased with my experience with yellowstone national park camping, and I hope to get back some day. 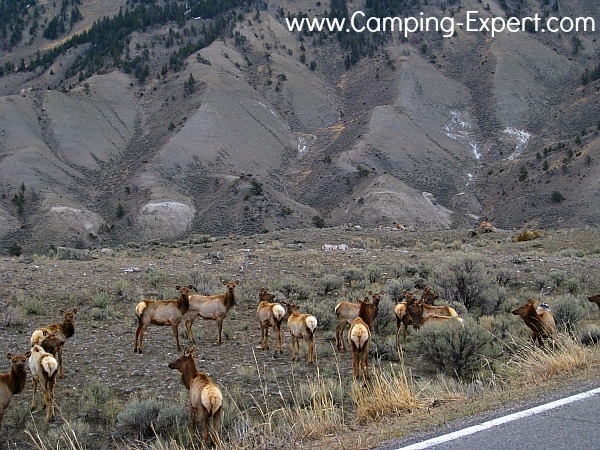 Share your experience of Yellowstone national park camping in the Form below! 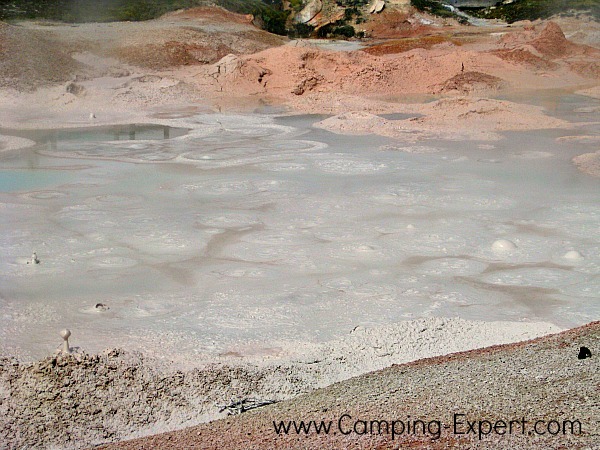 Include pictures and what you loved about camping in Yellowstone (or any other favourite park). We all want to hear what you love about the places YOU camp! 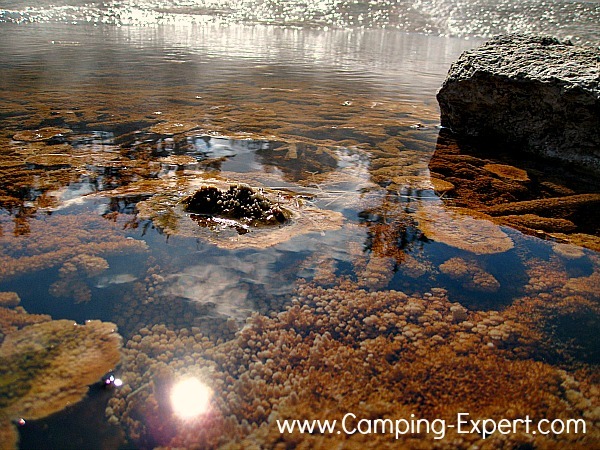 Check out other Great camping places!